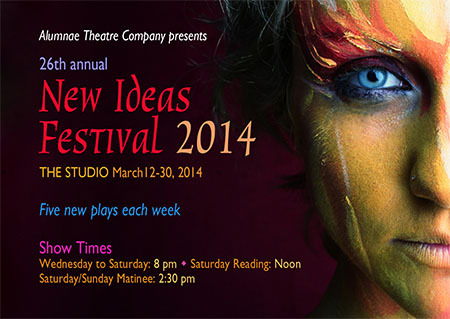 The Alumnae Theatre’s New Ideas Festival gives Toronto playwrights a forum to try out new works. The screaming at the old firehall can be a little distracting. I’m sitting with Pat McCarthy and Carolyn Zapf, co-artistic directors of the Alumnae Theatre Company’s New Ideas Festival (March 12-30), and the whole building reverberates with banging and yelling from the rehearsal studio below. No one seems to notice and I don’t question it. The bedlam in the background is just part of the furniture; you might as well wonder why a chair has legs. It’s early afternoon on the first day of a festival that will run for three weeks and showcase fifteen new plays by mostly-local playwrights. McCarthy and I have climbed three flights of stairs — taking on a box of equipment along the way — to the third-floor Studio Theatre, where Zapf is waiting with cat-like serenity, and where the plays will be staged. The Alumnae Theatre lives in a renovated fire station, and this particular space used to be the rec room. Now it’s a charmingly-serviceable black box, populated by old chairs of different colors and heavy curtains to cover the windows. It feels exactly suited to the purposes of the festival: experimentation and invention. NIF was founded in 1989 by playwright and director Molly Thom and Kerri McDonald as a way of recovering the ambitious and open-minded spirit that characterized the Alumnae Theatre Company in the ’60s and ’70s, when original Canadian theatre was first emerging. Initially designed as a venue for any kind of theatrical innovation, the festival has evolved to emphasize playwrighting in particular. Though many benefit, it functions primarily to give playwrights a chance to workshop their projects in an expansive, collaborative process with actors, directors, dramaturges, and stage managers. What the festival has gained in focus, it certainly hasn’t lost in scope: more than 100 people are working to produce all the plays in this year’s program. Once the submissions have been sifted by a nine-person jury and the final line-up is selected (about one in eight make the cut, depending on the year), the festival organizers shift into matchmaking mode. Teams need to form quickly so every play can follow a full six-week rehearsal process, so they use two fast-paced and ingeniously devised events to get all hands on deck and pulling in the right direction. First, the Creative Exchange puts all fifteen playwrights in a room full of potential directors, and they all move around in a sort of speed-dating roundtable. Then, after the follow-up phone calls and the coffee dates, the playwrights choose the director they want to work with. Once everyone has paired off, the actors come on board at a giant open casting call, each one auditioning in front of all thirty playwrights and directors at once. The creative teams bid for their top choices in each role, and by January the full cast is set and rehearsals are getting underway. McCarthy and Zapf, along with third co-artistic director Jennifer McKinley, govern the whole sprawling affair with evident pleasure and the sort of weary wit that’s won with long experience. “We’ve had our share of divorces,” McCarthy jokes about their matchmaking service. The two women possess that particular blend of efficiency and gentleness that comes from decades of running on grit and putting out fires in the name of art. When they sit down, they’re not so much resting as conserving energy for the next round. Relaxing in the muted light of the Studio Theatre and listening to the whole process of putting the festival together, I’m reminded of all the toil that goes into creating a show before the house lights ever dim, and that no one here is getting paid. That kind of effort is hard to sustain, but the women of Alumnae Theatre have been at it year after year for almost a century, well before Canada had any kind of theatre culture of its own to speak of. Herbert Whittaker, the well-known Toronto critic and theatre-maker, called them the “Aluminum Ladies,” a reference to their longevity. But the term also suggests industry, which is a more fitting tribute, since Alumnae Theatre didn’t just weather the years — they also played a leading role in manufacturing an autonomous Canadian theatre culture. Up until the ’60s, Canadian theatre consisted almost entirely of traveling shows from London and New York. 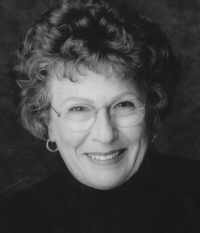 Molly Thom, who co-founded NIF, joined the company in the early sixties, just as things were starting to change. She describes reading post-war European absurdist dramas in magazines and wondering how it was possible to stage them. To answer that question, she went to the company and said that they needed a place to try these things out. So that’s exactly what they did. Some prize money earned at the Dominion Drama Festival gave them enough capital to invest in a little theatre. A quaint old coach house on Huntley Street, it sat 35 people, with a tiny stage of 7 by 14 feet and a backstage crossover that went out one door, around the building, and in the door on the other side. It was the perfect place to take risks — a house that small is easy to pack — and so it was there that they staged the first Canadian production of “Waiting for Godot,” along with many other avant-garde plays that had never been done in Toronto. Bad luck would have them moved several times after that (a story familiar to many theatre companies), but as the company shifted fitfully around the city, eventually landing at the old fire hall, they increasingly took the reins of their own productions. First the members directed their own shows (rather than relying exclusively on trusted outside directors like Herbert Whittaker), and then bit by bit they began culling material from literary sources to compose their own novel material. The 1967 Centennial catalyzed all the arts in Canada, not least for Alumnae Theatre Company. That’s when members of the company really began writing their own plays in earnest. But as momentum from the Centennial pushed Alumnae Theatre toward greater creative autonomy, several other companies in Toronto were riding the same wave, and using new federal funding to launch themselves to professional standing. 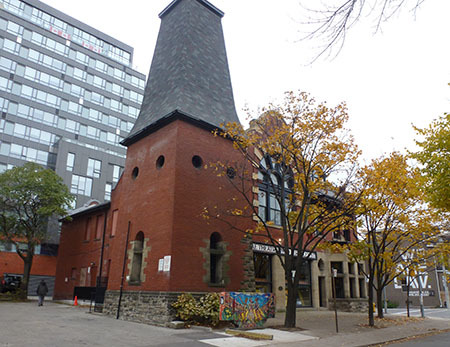 Tarragon, Passe Muraille, and Factory Theatre all turned pro in this period and fed the fervor for Canadian content from their own stables of playwrights. Alumnae, however, remained technically amateur. The term “amateur” often seems to swallow a sneer. Robin Whittaker, a theatre artist who teaches at St. Thomas University in Fredericton, New Brunswick (and no relation to Herbert, or “Herbie,” as his friends at Alumnae called him) parodied the jibe for me over the phone: “Pros will say, ‘They’re doing it for the enthusiasm of going into granny’s tickle trunk, putting some costumes on, and putting on a show’.” According to Whittaker, that view simply isn’t accurate. The differences between amateur and professional are fewer than most people assume, Whittaker explains. People come to theatres like Alumnae from every conceivable direction: many are students who’ve recently graduated and are looking to build up their theatre credits, of course, and some of those will have great careers, just like Albert Schulz, Jennifer Tarver, and many other Stratford and Shaw Festival mainstays who’ve performed at Alumnae; others, like Thom, have had long professional careers and continue to be devoted to the company. 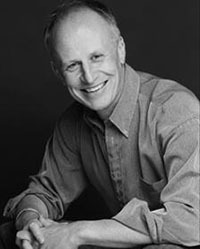 Still others have made theatre their life’s calling but not their vocation, like Dr. Charles Hayter. The first time I encounter Dr. Hayter, he’s handing out flyers for his play “Radical,” which will be performed as a reading in the second week of the festival (March 22). It’s opening night and he’s moving quietly through the crowd with a fixed smile and a slightly fragile expression, as though slipping us all love letters. It’s the sort of politely vulnerable moment one wants to escape, but also the kind of putting-yourself-out-there that theatre creators sometimes must embrace, even if they’re late-career medical professionals. That over-exposed feeling evaporates the next time I meet Hayter, in a windowless rehearsal room at the Fraser Studios, where the cast of “Radical” are making final revisions on the script just one week before the show. The play tells the story of Dr. Vera Peters, a cancer specialist who in the seventies fought against the practice of radical mastectomies while battling her own breast cancer, and most of the actors in the room are wearing medical scrubs. Hayter — a radiation oncologist three days a week and a playwright the rest — is poised and focused, dialoguing with the director and actors as they run through scenes. Hayter completed his master’s in drama at the University of Calgary and even taught theatre for two years, but a change of heart brought him back to school to study medicine. When I ask him about this over coffee after the rehearsal, he laughs ruefully and says, “That’s a question for my therapist.” He doesn’t regret his decision, however; not only does Hayter find his inspiration at work — “Medicine is exceedingly theatrical,” he says — but it also pays well enough that he can afford to work part-time and still keep a second home outside the city where he can go to write. Alumnae isn’t so flush. They don’t receive government funding and they only make enough from ticket sales, membership fees, and renting the venue to cover their building costs. For the rest, they rely on a core of talented volunteers. Stalwarts like McCarthy and Zapf keep the ball rolling but they all admit that it’s getting harder to find people to do the manual work. “It’s very frustrating when the system breaks down, especially if you’ve worked professionally and you’re able to pay people and it’s done,” says Thom. But working for free has at least one advantage: namely, freedom. “Since they’re not paying, they can do whatever they want,” Robin Whittaker explains. “What it allows for is programming choice.” Alumnae has often sought to do things that no one else was doing, whether European modernism or Restoration comedies. The eclecticism of the New Ideas Festival — where Victorian sci-fi runs alongside historical dramas and surrealist allegories — expresses the same ethos. If it’s rare or unusual, it probably fits. Not that it always works. Inexperienced experimental theatre is sometimes bad, obviously. We don’t have to love something just because it’s gutsy or it tries hard; but at the same time, it’s good to remember that every artist struggles and fails along the path to excellence. As an audience member, finding the right attitude means taking a bit of Herbie Whittaker on the one hand, who adopted an extremely nurturing approach to theatre criticism, and a bit of Nathan Cohen on the other hand, Whittaker’s critical counterpart (you might say nemesis — “They had issues,” says Thom, chuckling). Cohen was notoriously vitriolic in his negative reviews (e.g. “I hope this company never does anything ever again.”), but he also protected the highest standards for the medium, which even the unschooled and unseasoned must in some sense pursue. This tension is exactly what Alumnae and most professional theatres share. The attitude is the same, but the resources are different. Robin Whittaker offers the ugly but useful label “non-professionalized” for companies like Alumnae, where the term “amateur” hardly describes their ethic or their approach. The term is meant to assert that, while many who participate also pursue professional careers, the company itself chooses to remain non-professional, so as to continue to fill an important niche in the theatre community. As McCarthy and Zapf sit mulling over the 26-year history of the New Ideas Festival and the long bumpy ride that Alumnae Theatre has taken, the screamers from downstairs eventually come up to join us. They have the alert expressions of people who have just come from doing really weird stuff in a room together. With evident pride, McCarthy and Zapf begin discussing the play these fresh-faced actors are preparing, “Pit Sublime,” a dark clown story told in verse. It’s clearly a relief to stop talking about the past. Better to talk about what’s coming up next.